So this one time, I was like "We should do a snow shoot at the mountain!" And then the Key Team girls were like "Yeah, that'd be so fun!" And then Mother Nature was like "Psych!" In short, that's how our snow session went. It was a big, wet, frigid, disaster. To start off, Washington is notorious for weather that changes in a snap of the fingers, and just that happened. What started as a rainy winter, swept into a white winter (yay!) and then blew over into a snow storm ice winter (urg!). Due to this, we had to change our shoot location from Rainier, as most of the park was closed. I had the perfect spot, and then the day before, found out the rain melted all of the beautiful snow. 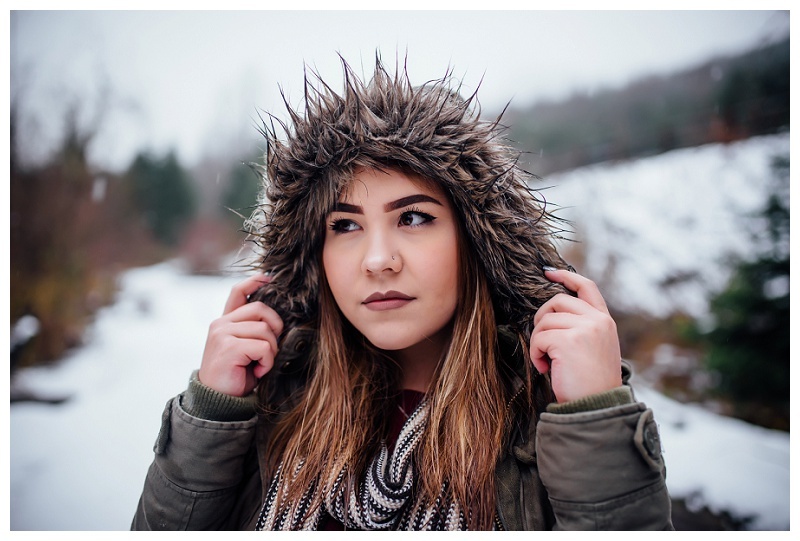 You simply can't have a snow themed session without snow, right? Talking to anyone I knew might know of a great spot that was safe to get to, we headed to Ashford. Perfect. The snow was supposed to be bright and fluffy, and we were excited to see snow flakes in the forecast during our shoot. Snow falling like whimsical cloud glitter filled my dreams. Wrong. We arrived to a parking lot dotted with muddy potholes, rain trickling down our windows and damp, heavy, sparse snow scattered along the ground. Stuffing our pockets with Hot Hands and wrapped in blankets, we put our best soggy feet forward and trudged to the snow. It. Was. Miserable. The girls had soaked hair in a second, red hands and noses and shivered fiercely. We had our (see: forced) fun, and tried to make the best out of it. The girls laughed and shivered some more. And then shivered again. The magical snow shoot may have been a bust, but I loved seeing the girls try try tryyyy to make it awesome. We treated the girls to coffees in Elbe on the way home and most of us took the day to thaw. 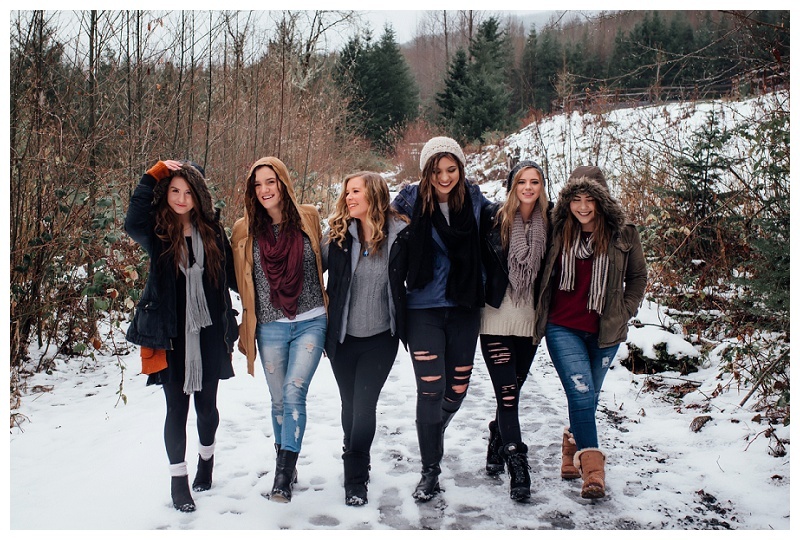 Laugh with us, and check out our snow-ish shoot below. Fingers mega crossed that our next shoot is far from a drowned rat mess. I love the PNW. I love the PNW. I love the PNW.